In a Nutshell: edX.org is an innovative online learning destination where anyone can access free classes taught by professors from the finest universities, colleges and educational institutions in the world. Out of 48 courses in the economics and finance space, and 582 current offerings overall, we’ve narrowed down the best of the best for individuals who want to improve their financial literacy and reach their monetary goals. If advice and guidance from world-renowned experts in the finance, economic and accounting industries were free, do you think more people would have better control over their finances? 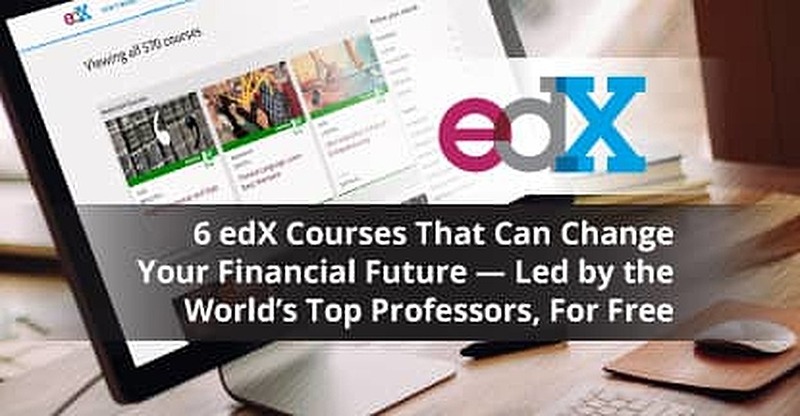 The folks at edX.org certainly think so, which is why they created an online learning destination for anyone with an internet connection to gain greater access to higher education, whether within finance or any other topic of interest. EdX is a free, collaborative venture founded by Harvard and MIT that offers Massive Open Online Courses (MOOCs) to anyone, anywhere, from only the best professors, universities and institutions around the world. Founded in May of 2012, edX currently offers 582 courses at last count, with 48 in the economics and finance space. We explored these courses and picked our favorites based on the syllabus and subject matter of each, and edX Director of Communications, Nancy Moss, was kind enough to speak with us about the ways individuals can utilize what they learn to improve their finances. “Anything that you can do to educate yourself about finance is going to help you with your own monetary goals, be it personal or for your business. These courses are taught by experts from a variety of different financial perspectives,” she said. You can use the navigation links below to jump right into the courses, or scroll below to read our brief summary about how edX evolved into an industry leader in the online learning movement. 1. Personal Finance Planning: Practical money solutions on a variety of topics to manage your money more effectively. 2. An Introduction to Credit Risk Management: Credit risk management taught from both a theoretical and practical perspective. 3. Understanding the Federal Reserve: Introduction to the Federal Reserve and how it intercedes into the market and impacts personal financials and the economy. 4. Financial Analysis for Decision Making: Make better business decisions by learning how to think with a financial mindset. 5. Behavioural Economics in Action: Learn to improve your financial welfare through behavioral changes. 6. The Science of Happiness: The first MOOC to teach positive psychology and principles for living a happy life. 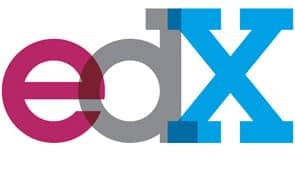 EdX has partnerships with 65 institutions, including its founders MIT and Harvard, as well as UC Berkeley, TUDelft, Caltech and Cornell (to make a few notable mentions), that are the driving forces behind the organization and its goal to bring elite courses to the masses. Each partner makes a commitment to develop a certain number of MOOCs per year, bringing quantity and variety to edX’s arsenal. edX has partnerships with 65 institutions that are the driving forces behind its vision and mission. “Our partners use different approaches to developing their courses. Each institution decides what subject areas they want to focus on, and we work closely with them to develop target courses that we know our users want to take,” Moss said, and explained how edX partners aren’t limited to just the best colleges and universities. “We also have the New York Institute of Finance, a terrific partner for financial education, and the Association of Chartered Certified Accountants (ACCA), a U.K.-based worldwide organization for professional accountants. We offer courses from the International Monetary Fund (IMF) on Macroeconomics, and some of those courses are appropriate for consumers to take as well,” she continued. And it’s not just edX’s partners who are diverse; the edX user base ranges from ages 8 to 95 and come from every country in the world. In fact, 70% of edX students are from outside of the U.S. To date, more than 12 million people have enrolled on edX and are comprised of continuing learners (60%), university age students (24%) and high school students (4%). Moss explained how their users’ interest in finance is a motivator for the organization to expand. “Our learners are very, very interested in finance courses. We are working closely with our partners to create more of these courses; it’s an area of important growth for us,” she said. Out of the 48 economics and finance MOOCs currently offered, we’ve picked our six favorite for you to review and decide which are best depending on your goals. We’ll explore what you can expect to learn in each and have provided videos shared on edX’s site that present quick course descriptions. While each course is offered free of charge, there are opportunities to earn verified certificates of completion that can be added to resumes and LinkedIn profiles for a fee. Some courses have suggested prerequisites to help you better understand the material, but these are not required. Our top pick, Personal Finance Planning, teaches you about all of the fundamentals, such as IRAs, 401(k)s and other investments, credit, insurance products, savings and more. 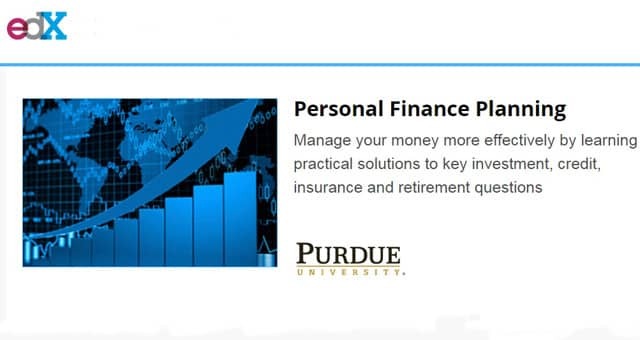 Offered by Purdue University, Personal Finance Planning is instructed by Sugato Chakravarty, a professor of Consumer Economics and Management at Purdue with a Ph.D. in finance from Indiana University. The course begins April 2016 and is an introductory level course with a duration of eight weeks and estimated student effort of three to four hours per week. Note: We don’t have a video for this course because this is the first time it’s being offered on the site. We like An Introduction to Credit Risk Management because it teaches the basics of credit risk modeling from a theoretical and practical point of view. Click here to enroll in An Introduction to Credit Risk Management. Offered by Delft University of Technology (TUDelft) in the Netherlands, An Introduction to Credit Risk Management is instructed by Pasquale Cirillo, a professor of Risk Management, Financial Mathematics and Credit Risk Monitoring, and an assistant professor of Applied Probability at the Delft Institute of Applied Mathematics, with a Ph.D. in Statistics from Bocconi University in Italy. Note: An Introduction to Credit Risk Management is an archived course, which means the course is completed, but you can still view the lectures and all of the course materials. The only differences are you won’t be able to earn a verified certificate and there won’t be any moderated forums, meaning the faculty will not be grading the assignments, and therefore there are no deadlines. You will learn and interpret the information at your own pace. Not only will Understanding the Federal Reserve make a complicated subject matter simple to understand, but this course teaches how the FED impacts your personal financials as well as the global economy. Learn about the structure and purpose of the Federal Reserve and how its actions impact not just the U.S. economy, and financial institutions, but individual investors and savers alike. Offered by the New York Institute of Finance, Understanding the Federal Reserve is instructed by William (Bill) Addiss, a faculty member with more than 30 years of management experience working in the finance industry who presently lectures at the Wharton/Arresty Institute and the United States Coast Guard Academy. This is a self-paced introductory course with an estimated effort of one to two hours per week. We chose Financial Analysis for Decision Making because it teaches how to incorporate your company’s financials when making business decisions. This course is part of the Business Principles and Entrepreneurial Thought XSeries. Click here to enroll in Financial Analysis for Decision Making. This course will help you understand how businesses create value, how to think with financials in mind and how to use financial information in business decision-making. Offered by Tsinghua University, one of the most prestigious universities in Asia, Financial Analysis and Decision-Making is instructed by Xing Xiao, chair and professor in the Department of Accounting at the School of Economics and Management who holds a Ph.D. in Accounting. This course begins October 9th and is an introductory level course with a duration of 12 weeks and estimated effort of three hours per week. We like this course because it focuses on the principles underlying decision-making. Behavioral Economics in Action will teach you how to make better decisions and improve welfare through behavioral changes (i.e., no more impulse purchases at the mall). Click here to enroll in Behavioural Economics in Action. Offered by the University of Toronto, Behavioural Economics in Action is co-instructed by Dilip Soman, professor at the Rotman School of Management, and Joonkyung (Joon) Kim, a Ph.D. student at the University of Toronto with a master’s degree in Business Administration from Seoul National University. This is an archived introductory level course with a duration of six weeks and estimated effort of four to five hours per week. We decided to throw this one into the mix because of the obvious correlation between money and happiness. The Science of Happiness is one of the most popular courses ever launched on edX, with more than 200,000 enrollments from more than 196 countries. One of the best things about MOOCs is there are never any limits to how many people can enroll into a single course. Click here to enroll in The Science of Happiness. Offered by the University of California Berkeley, The Science of Happiness is co-instructed by Dacher Keltner, professor of psychology and founding director of the Greater Good Science Center at UC Berkeley and author of best-selling book “Born to Be Good,” and Emiliana Simon-Thomas, a neuroscientist and science director of the Greater Good Science Center. The course begins Sept. 8 and is an introductory level course with a 10-week duration and estimated effort of five hours per week. The Science of Happiness explores the ideas of what happiness is and how to achieve it through positive psychology and science-backed lessons. Have you ever watched a movie with a genie who grants wishes, and one of the wishes is almost always for great wealth? Many people believe with money comes happiness, and there are countless studies trying to prove or disprove this theory. One famous study conducted by two Princeton researchers found happiness caps out at an annual income of $75,000. Granted, that figure is still over $21,000 more than the median American household income of $53,891 as of June 2014. Even the purchases you make have an effect on your well-being. Beyond the Purchase is a site dedicated to exploring happiness and quality of life based on money management. They offer online quizzes that their team of researchers analyze to gain a better understanding of the ways in which our lives are impacted by our spending habits. You may be surprised to learn your own connections with money and happiness and how they compare to those around you — take this course and see. 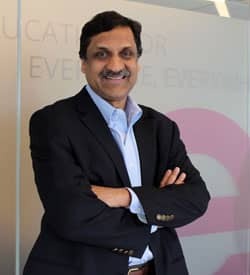 According to Agarwal, free online learning from the world’s best professors is “the biggest innovation to happen in education for 200 years,” and while the courses may be challenging, edX has effectively made it so anyone around the world has the opportunity to learn from the same professors as an Ivy League graduate. “You definitely have to be motivated to take an online course, but our platform is very interactive, it’s very intuitive, and you’re going to learn a whole lot about whatever sector of finance you’re interested in,” Moss said. In conclusion, edX is a terrific resource for free courses in a host of topics, whether it’s to better your career, your financial future or just to find out about something you’ve always wanted to know about. We encourage you to check out the edX website for further details and sign up for your favorite Economics and Finance courses — or any other subject matter of interest to you.